Double toned milk contains as low as 1.5 percent fat. Being low in fat, it helps maintain cholesterol levels in your body, hence keeping the heart healthy. 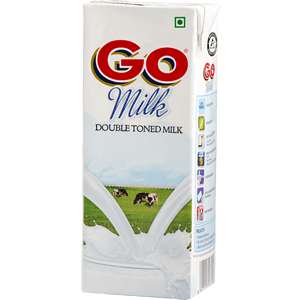 Easily digestible Double toned is a good source of complete milk that contains all the nine amino acids. A cup of (240 Ml) double toned milk provides you as much as 7.7 g of protein. 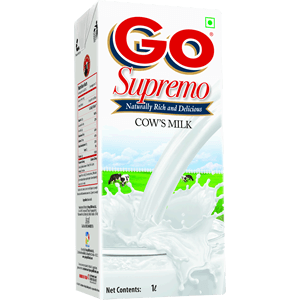 This milk contains high amounts of casein protein, which is easily digestible. 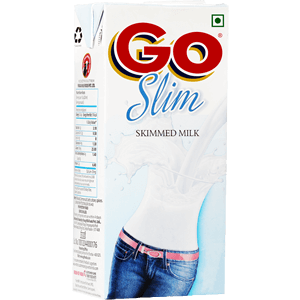 Contains fewer calories Double toned milk is low in calories as compared to toned milk. It has less fat than regular toned milk. It contains the same goodness as regular milk with the fat reduced. It is a great every day solution to help reduce your fat intake as it contains less than 0.2% fat. Zero Cholesterol, No need to boil, no need to refrigerate till opened, Stays fresh for 4 days after opening if kept in No added Sugar, No preservatives added Excellent for People with Heart & Blood Pressure related problems Health & weight conscious People People undergoing Fitness sessions.